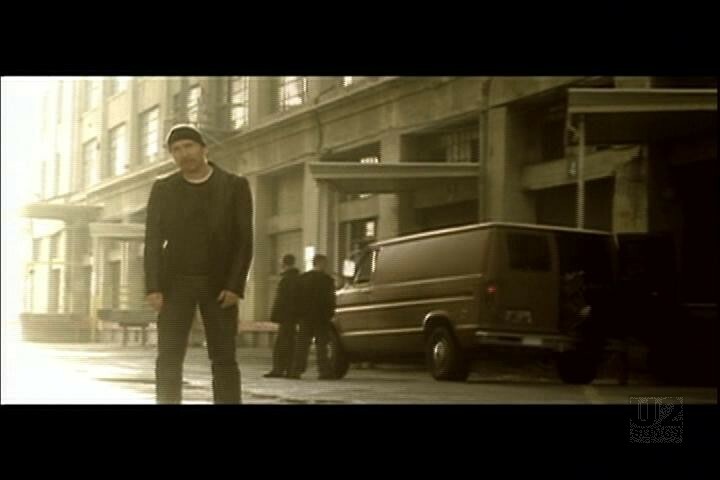 U2 shot this video during their promo tour for the All That You Can’t Leave Behind album. 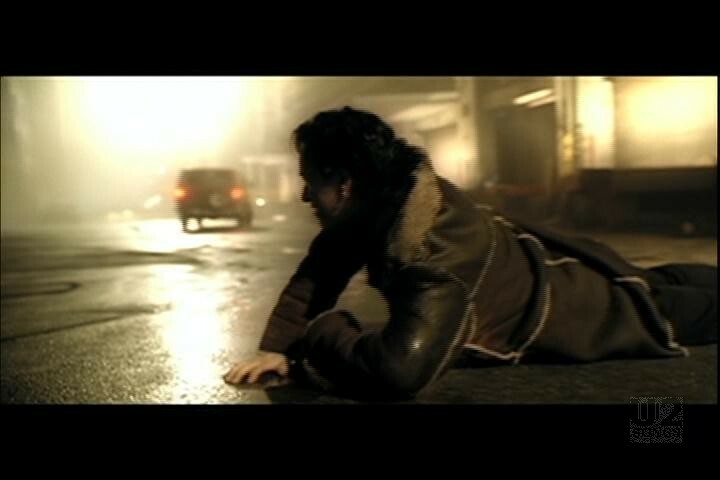 It features Bono being repeatedly thrown out of a van, struggling to get up as he sings the song. The rest of the band appear almost like angels from the Stay video, trying to rescue him. Edge eventually makes it across the roaring LA traffic to give Bono a hand… literally. The video was shot with director Kevin Godley and was filmed in Los Angeles over two days, starting on November 27, 2000. We don’t have enough information to pinpoint a location on the map, if you have more information please let us know. 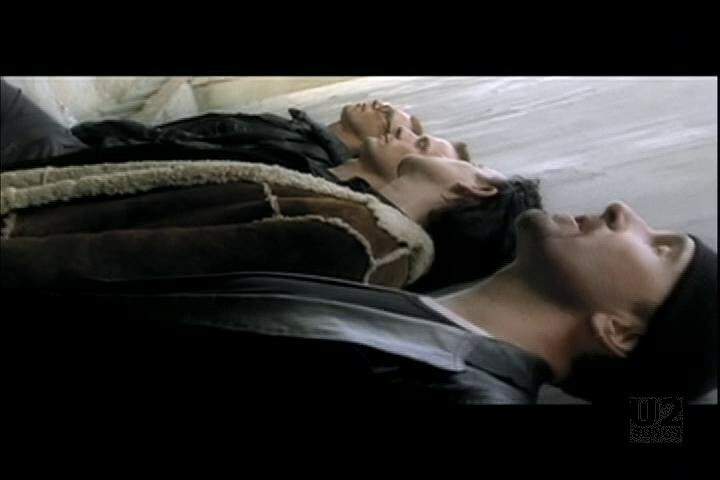 The video premiered on MTV on December 14, 2000. "U2 - “Stuck in a Moment You Can’t Get Out Of” Single (Canada)"
"U2 - “Stuck in a Moment You Can’t Get Out Of” Single (Europe and Australia)"
"U2 - “Stuck in a Moment You Can’t Get Out Of” Promotional Release"
"U2 - “All That You Can’t Leave Behind” Album (Original Release)"